Lead by an interdisciplinary team that have backgrounds in performance, computational media art, and bioengineering, the workshop will be a point of convergence for fields that are working in the larger domain of emotive research both internationally and within Canada. This includes consciousness hackers who explore how technology can positively change the way we think, feel, and live; performers and others who use somatic awareness as a tool for the recreation of authentic emotion; and computational media artists, who use technology to explore questions of human and machine through artworks that critique our techno-scientific world. The workshop is targeted for a diverse audience including students, emerging scholars and other highly qualified personnel from both the academic and private sectors. Participants are welcome from a variety of fields such as performance, somatic movement and awareness, computational media arts, entertainment, gaming, computer science, architecture, and other art/science collaborations. 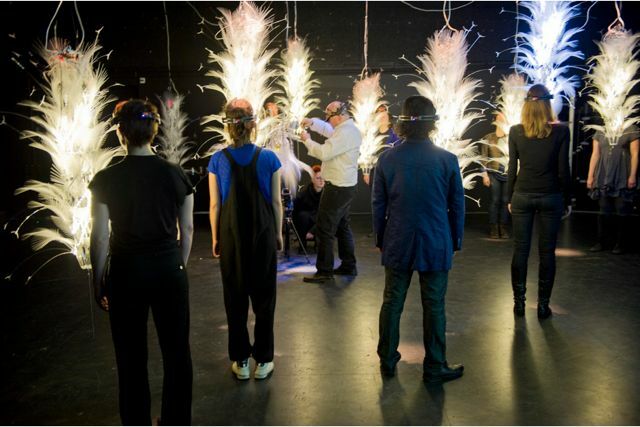 This seven day workshop will take place from June 6th – 12th and will explore how technology can help us create deeper connections with the world around us, each other, and ourselves by combining the latest advances in bioinformatic sensing technology with modes of physiological awareness found in somatic performance practice. Activities will include seminars and practicums on somatic performance and movement, and technical foundations on working with bioinformatic sensors with media based software such as Max, SuperCollider, and Processing. A speaker series will be running during the workshop from June 6th – June 10th, 2016. All talks during the workshop are free and open to the public.